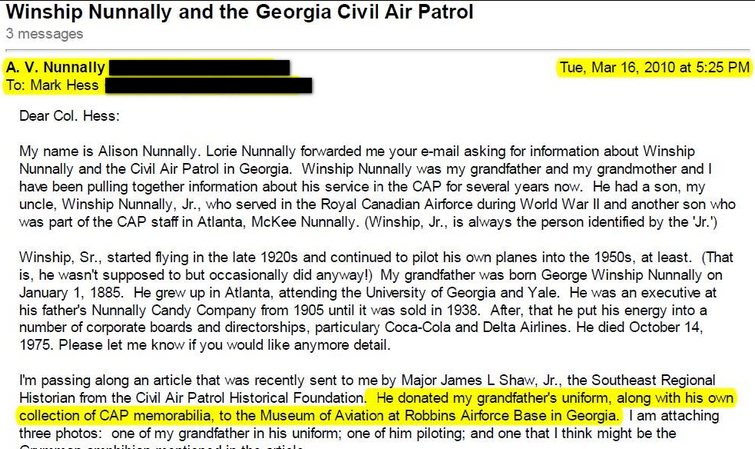 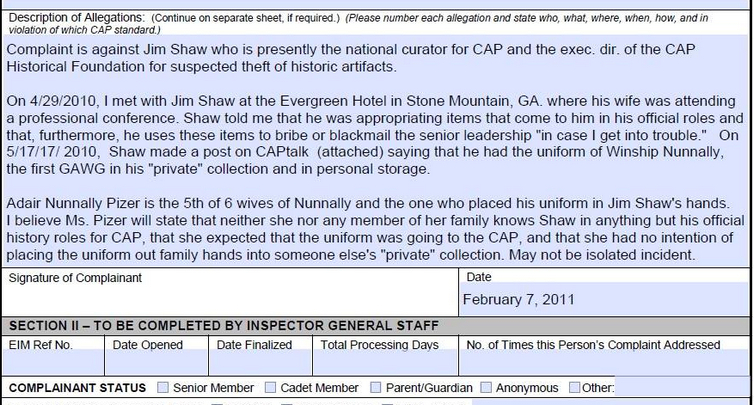 To this day, the Winship Nunnally uniform is still missing as well as many other priceless historical artifacts of the CAP that were purchased by Federal funding (taxpayer dollars). 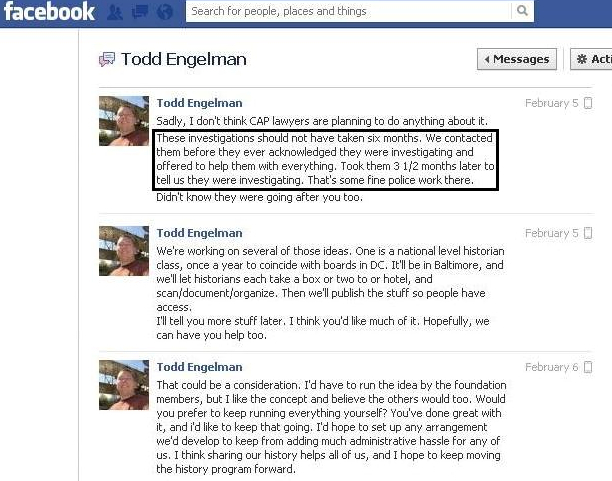 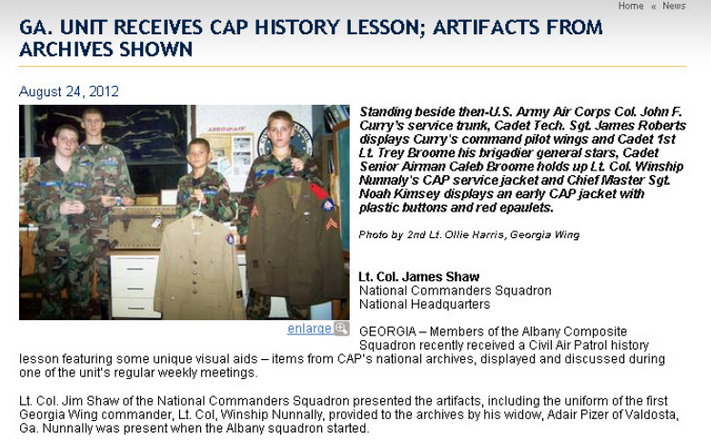 Lt Col Jim Shaw is no longer on the CAP history staff, but he is still an active member. 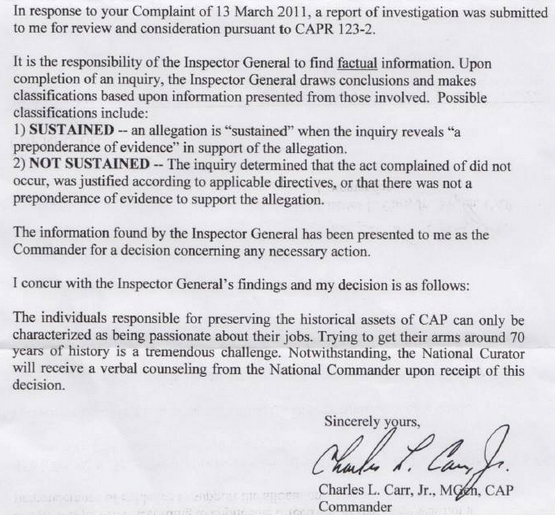 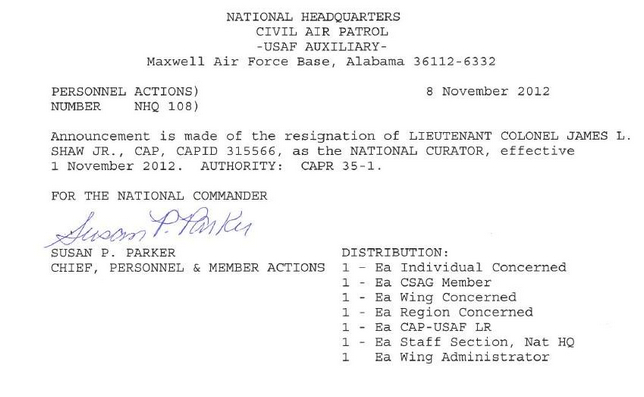 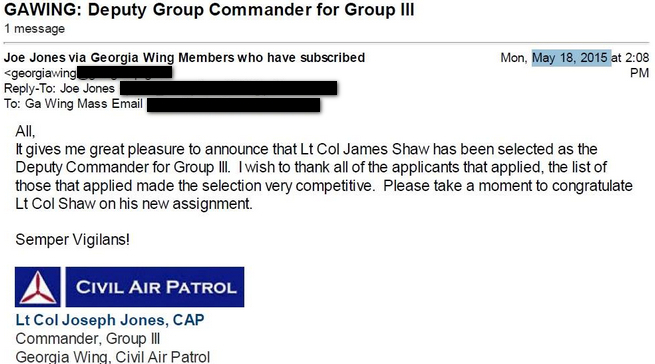 Lt Col Mark Hess who filed the IG Complaint on Shaw was later wrongfully terminated by his close friend Col Richard Greenwood, the Georgia Wing Commander and Col Frank Blazich, the National Historian.